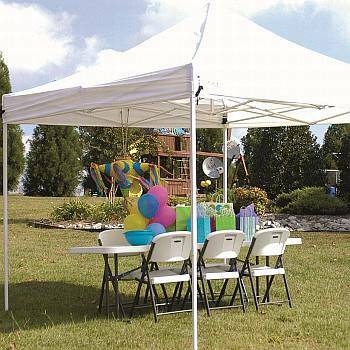 The Explorer 10ft x 10ft Instant Shade Canopy provides the perfect solution for shade and protection in a variety of situations. 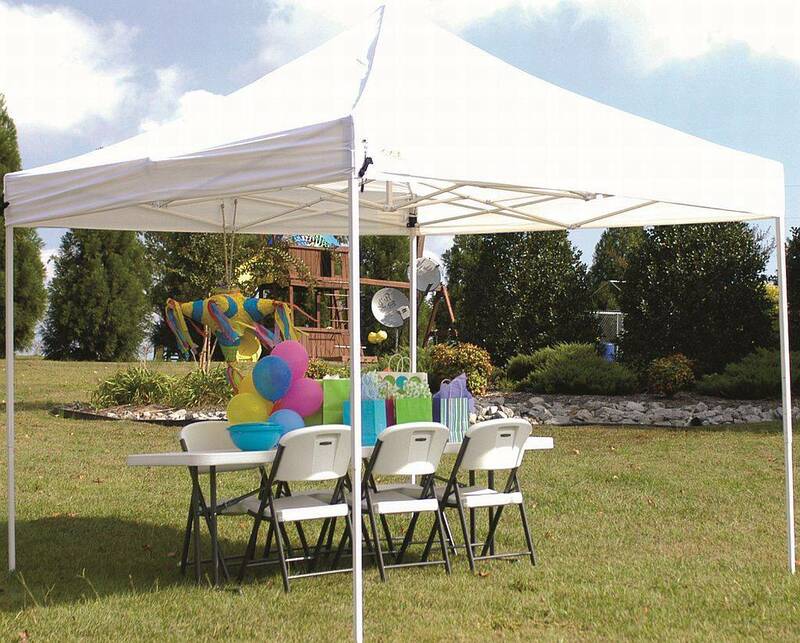 Family gatherings, outdoor parties, sporting events, garage sales, and picnics in the park are just a few of the many places where this shade canopy will come in handy. The canopy is designed to be portable, but it is very strong thanks to a commercial strength steel frame. It is easy to set up and take down. The cover material is made from durable polyester with corner pockets and is water, flame, and mildew resistant. Includes roller bag and ground stakes.